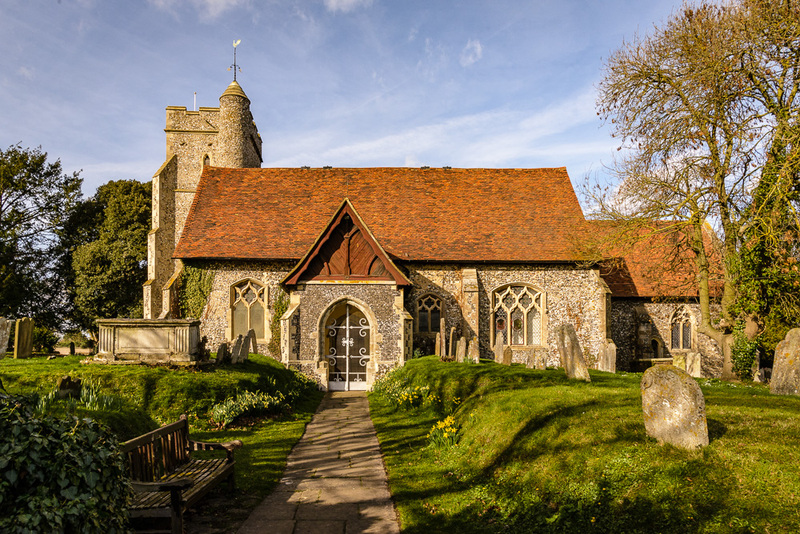 St John The Baptist Church is the parish church of Sutton-at-Hone in North West Kent, England. Sutton-at-Hone is a village on the River Darent about two miles south of Dartford. The village and its church have a long history. Both were included in the Domesday Book, the record of much of England and Wales completed in 1086 by William the Conqueror, twenty years after his success at the Battle of Hastings. In the Domesday Book, Sutton-at-Hone appears as Sudtone. The first time we find a reference close to the current name is in a charter of 1281 which was in the British Museum. At this time the village was known as Suttone atta hone which means settlement near a stone. It is presumed the stone referred to was a Boundary Stone. The original St John The Baptist Church was in existence by 1077. The church was built on the hillside above the village, presumably to avoid any damage from flooding from the River Darent. It is recorded in the parish records, Bishop Gundulf, Bishop of Rochester, granted the church, with the chapels at Kingsdown and Wilmington to the priory of St Andrew in Rochester. Along with the three churches came their “tithes in corn, cattle, pannage, mills and all other things“. Pannage, by the way, is the right to pasture swine in a forest or the food picked up by swine. There is nothing left of the original church. 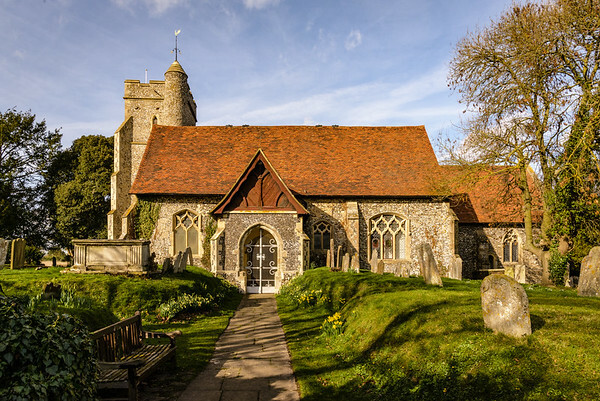 A replacement was built in the fourteenth century, a period of much church construction in Kent. The chancel and nave of the church we see today date from this time. In April 1615, the church was destroyed by fire. The cause was a man shooting at pigeons who had entered the church. St John The Baptist was not the only church to be destroyed by an accidental fire caused by pigeons. Sometime before 1592, the Church of St Peter and St Paul in Charing was also destroyed after a man shot at pigeons on the roof. Most of the interior furnishings date from the rebuild in 1617 after the fire. St John The Baptist Church is a Grade I Listed Building on the National Heritage List for England (NHLE). A Grade I listing means the church is of “exceptional interest”. Out of the over 500,000 building on the NHLE, only about 2.5% are Grade I. Another one of my recent second-hand book purchases is Kent Churches by John E. Vigar. 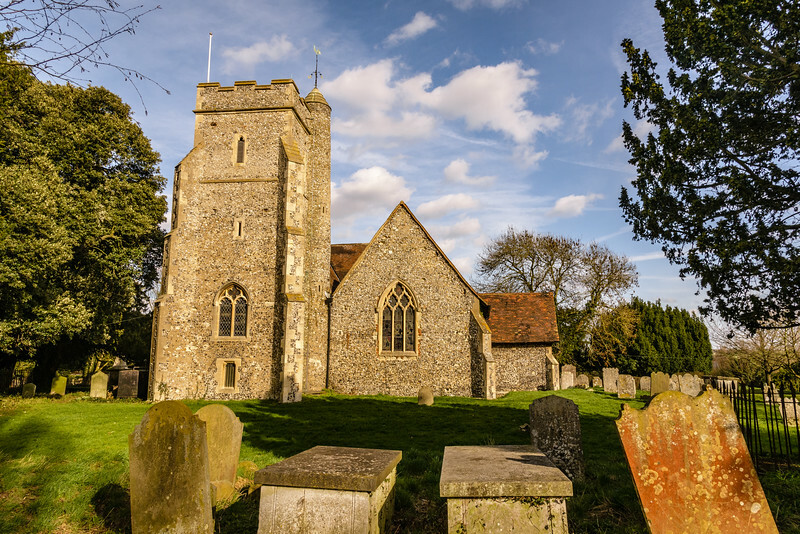 The county of Kent was one of the cradles of Christianity in England with some of the oldest and most interesting churches in the county. 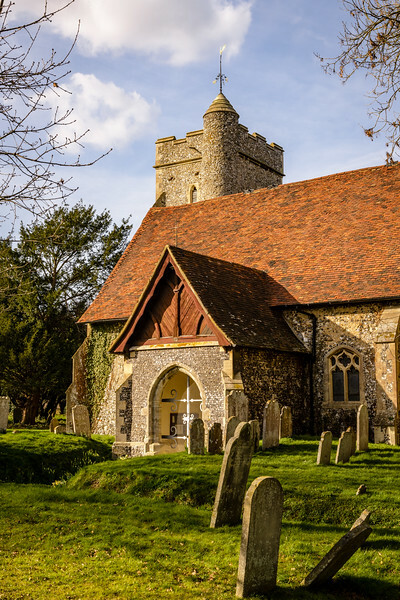 The book provides an introduction to the architecture and history of over 200 Anglican churches in Kent. 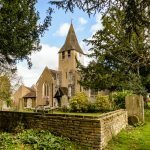 St John The Baptist Church is a Grade I Listed Building and the parish church of Sutton-at-Hone, a village on the River Darent about two miles south of Dartford in North West Kent, England.